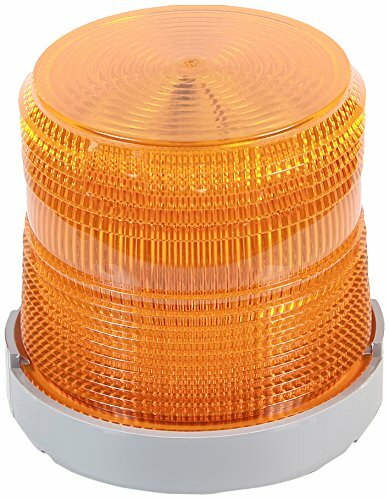 Edwards 48XBR Series XTRA-BRITE LED beacons are multi-mode signaling devices, available in steady-on with the built-in option of switching to flashing mode via dipswitch. These signals are suitable for use in indoor and outdoor applications or applications where a NEMA Type 4X enclosure is required. The base in manufactured from a polycarbonate/ABS blend, and the lens is made of shatter resistance polycarbonate. Lens color AMBER. If you have any questions about this product by Edwards-Signaling, contact us by completing and submitting the form below. If you are looking for a specif part number, please include it with your message.